China Smith has found her calling. As a performer, director, teacher, producer, and now, Founding Executive Director of Ballet Afrique and East Austin Performing Arts, China's breadth of experiences has prepared her for this point, the opening of the Ballet Afrique Dance Academy and Company Dance Studio. Raised in East Austin herself, as well as teaching dance for over eight years in East Austin schools and performing arts programs, China found limited opportunities for exposure to African American art, which she felt was crucial to the self empowerment of her young predominantly African American students. With strong roots in the community, China has not only the vision, but the deep insight and experience necessary to make such a project a successful reality. Cameron Blunt, dance instructor and owner of Lavysh Dance Company, was born in Austin, TX where her cheer & dance training started at the age of 5.With over 14 years of experience coaching. Her passion began in her early years of training, she cheer competitively and regionally for a local Austin competitive team for over 6 years. Being a lover of gymnastics, cheerleading, and dancing. Cameron has always been faithful to the development of young children and herself. Cameron started Lavysh Dance Company in 2014 after relocating back to Austin Texas. Lavysh has been a successful national award winning team. Cameron continues to pursue her dance passion, traveling and dancing back up for various artists. Ms. Blunt had the opportunity to coach at many gyms and studios where she met many great athletes, dancers and gained invaluable knowledge and hands-on experience. Wendy Bascom,was born and raised in Monterrey, Mexico. She was exposed to rhythms and dances of the region at an early age. After she was established in Austin, she focused her energies on additional Latin and Afro-Latin dance styles such as Bachata, Salsa and Kizomba. She has performed on big stages during dance Festivals and Congresses such as Oaxaca Salsa & Bachata Festival(Mexico), Houston Salsa Congress(US), B.I.G. Salsa Festival(US) and NeoKizomba Festival(US) with her teams, as well as on local venues. Additionally she has participated in other dance events such as Miami Bachata Festival, Dallas Bachata Festival, Bachateando Miami, Aventura Dance Cruise, Afro-Latin Festival and Texas Salsa Congress taking numerous hours of training with internationally recognized talent such as Vladimir Pineda(Mexico) , Amneris Martinez(Spain), Juan Matos(Italy), Magna Gopal(US), Sara Lopez(Spain) and Enah & Carolina(Paris) just to mention a few. She is one of the Executive Directors of Pa'La Rumba Austin, which offers training and performance opportunities for Ladies and Kids. 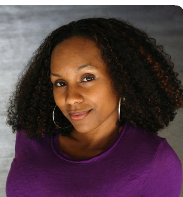 She is passionate about dancing and helping individuals in different stages of their dancing journey to grow and excel. Pa'La Rumba is in a mission to contribute to make our local dance community bigger and stronger.